Dragon Ball Super: Broly. Published 1/23/2019. Media. NEW YORK (CNS) -- Who needs a roller coaster when you have "Dragon Ball Super: Broly" (Fox), a dizzying Japanese anime film and a headache-inducing assault on all the senses. 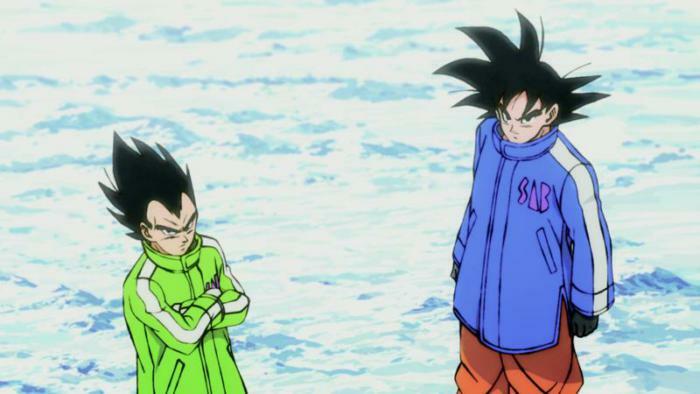 With its incomprehensible plot, flashing candy-colored animation and relentless martial arts action, "Dragon Ball Super: Broly" is decidedly an acquired taste. But the fantasy franchise it extends -- which has spawned 19 previous films and countless video games over the past 35 years -- clearly must have its fans. Akira Toriyama's slender screenplay, which borrows heavily from the Superman myth, is really just an excuse for director Tatsuya Nagamine to string together the requisite series of violent (and noisy) battle scenes pitting the forces of good against those of the dark side. For the uninitiated, on a planet far, far away named Vegeta live the Saiyans, a master race sporting tails and endowed with the ability to fly. They procreate artificially, with infants gestating in pods where they are closely monitored for exceptional abilities. A Saiyan newborn named Broly is a prodigy whose gifts make him dangerous in the eyes of Vegeta's eponymous king (voice of Christopher Sabat). So the baby is sent into exile on a distant world, to which he's followed by his father, Paragus (voice of Dameon Clarke). Years later, lowly warrior Bardock (voice of Sonny Strait), alarmed by the state of things on Vegeta, decides to send his own gestating son, Goku, to planet Earth for safekeeping. Goku is dispatched just in time since Vegeta is completely destroyed shortly afterward (Krypton, anyone?). Still more time passes, and Broly (voice of Vic Mignogna) and Goku (voice of Sean Schemmel) grow into bulked-up rambunctious teens. An inevitable battle for Saiyan supremacy (and a competition for something called dragon balls) ensues between the unstable, destructive Broly and the mild-mannered Goku. The film contains potentially scary fantasy violence and two mild oaths. The Catholic News Service classification is A-II -- adults and adolescents. The Motion Picture Association of America rating is PG -- parental guidance suggested. Some material may not be suitable for children. This Japanese anime film is strictly for fans of its fantasy franchise, which has spawned 19 previous movies and countless video games. In a distant corner of the galaxy, a master race produces two potential leaders, one (voice of Sean Schemmel) grows up to be good, the other (voice of Vic Mignogna) joins the dark side, and a fight for supremacy ensues. With flashing candy-colored animation and relentless martial arts action, director Tatsuya Nagamine offers up little more than a series of noisy clashes. Potentially scary fantasy violence and two mild oaths. 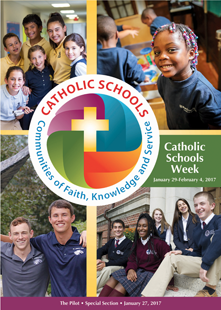 The Catholic News Service classification is A-II -- adults and adolescents. The Motion Picture Association of America rating is PG -- parental guidance suggested. Some material may not be suitable for children. "Dragon Ball Super: Broly" (Fox) -- Catholic News Service classification, A-II -- adults and adolescents. Motion Picture Association of America rating, PG -- parental guidance suggested. Some material may not be suitable for children.